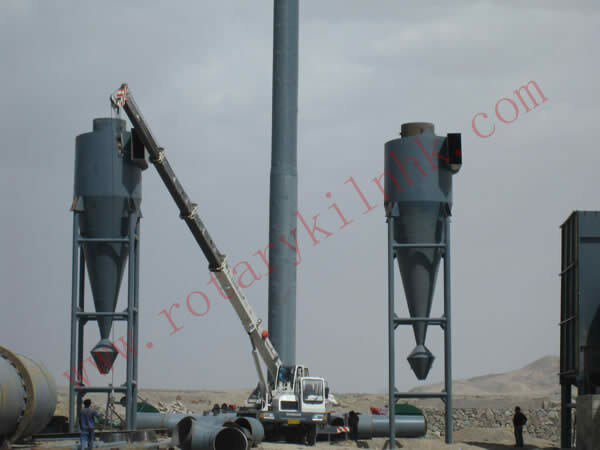 Active lime kiln is a type of rotary kiln and it is the main equipment used for calcining active lime. 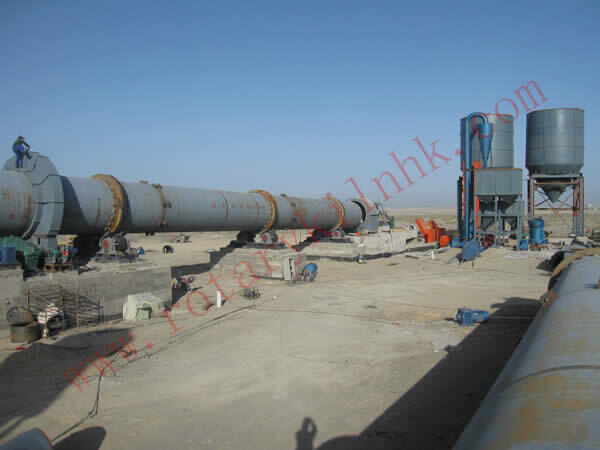 This equipment is mainly composed of cylinder, supporting device, supporting device with catch wheel, transmission device, lubrication device, mobile kiln head and sealing device at the end of the kiln with the advantages of simple structure, reliable operation and easy control of the production process. 1. Check cleaning and oiling of supporting roller bearing or bushing. 2. Check leakage of circulating water system. 3. 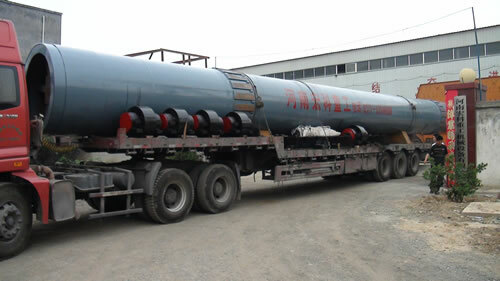 Check wearing and lubrication of transmission reducer and gear of rotary lime kiln. 4. 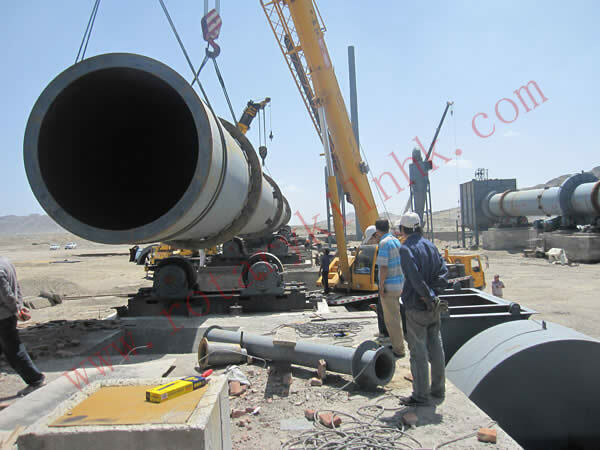 Check cylinder body for crack, wearing of tie plate and tightness of bole of each part. 5. Check seal wearing of end and tail of rotary kiln. 6. Check wearing and service condition of kiln lining within lime kiln. 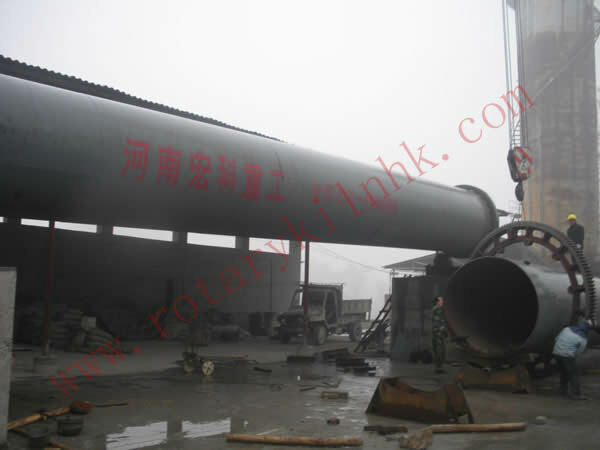 Active lime kiln is equipped with advanced structure. 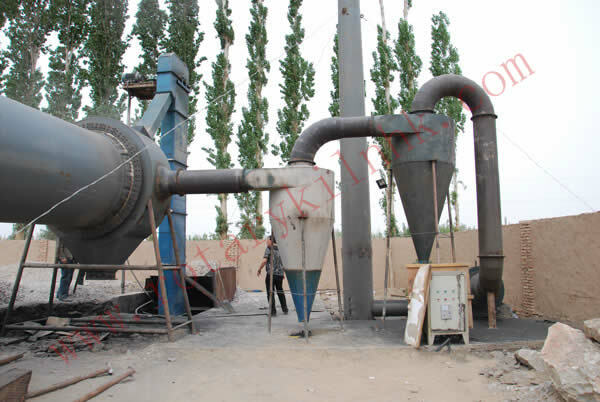 The vertical pre-heat equipment can improve its pre-heating effect effectively with low-pressure loss, and the in-kiln decomposition rate of the pre-heated limestone can reach 20-25% and the 10-15mm fine particle limestone materials can be directly used. This active lime kiln(limestone rotary kiln) adopts combined type scale sealing to ensure that the air leakage factor is less than 10%. 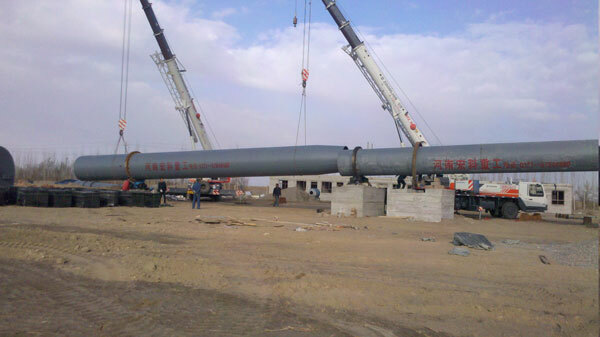 Compound type refractory matter is adopted to reduce the radiant heat loss. 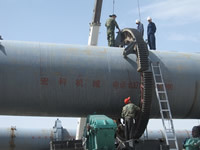 The infilling type circular or square vertical cooler which can be divisionally ventilated can make the temperature of the lime cool that is discharged from the cooler to 80℃+ of the environment temperature for the convenience of transportation and storage, and it can also pre-heat the in-kiln secondary air to more than 700℃ to make full use of the waste heat and save energy.